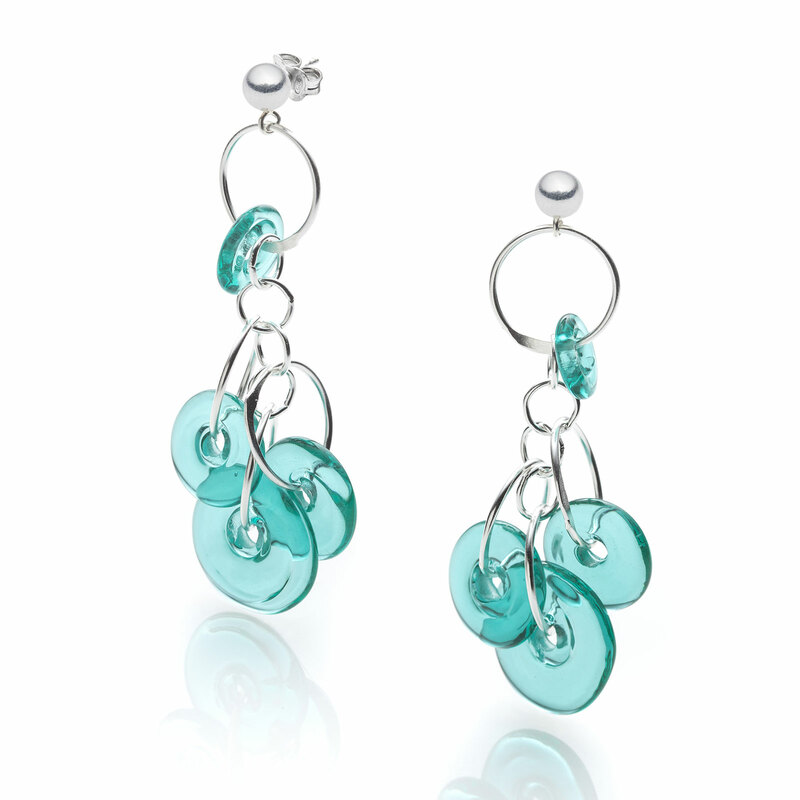 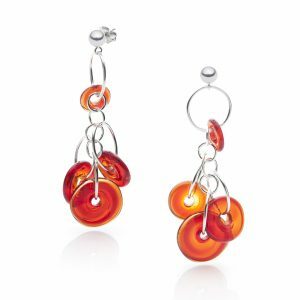 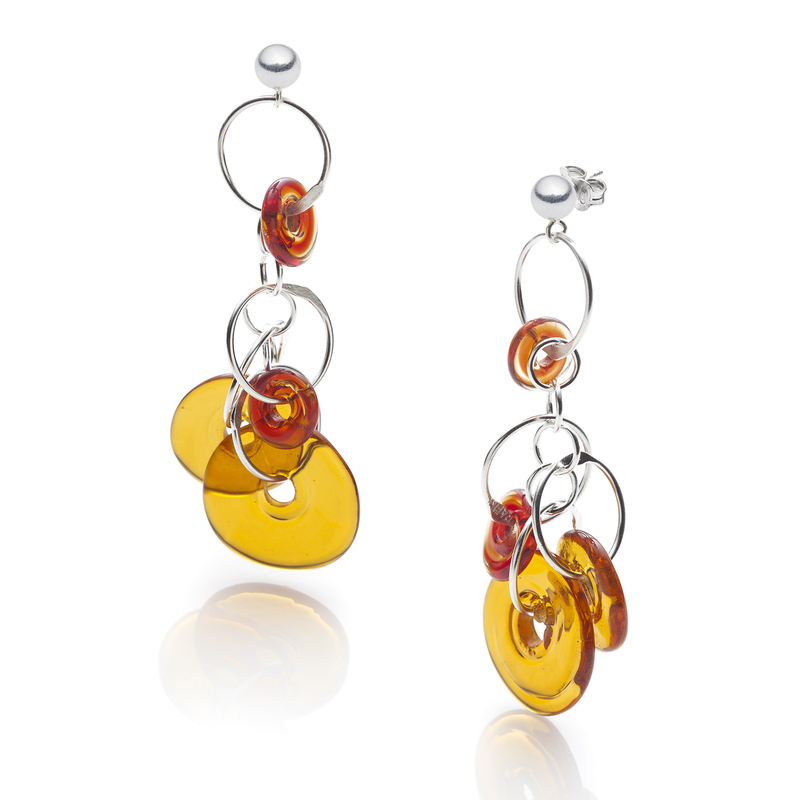 Earrings in sterling silver with coloured glass disks. 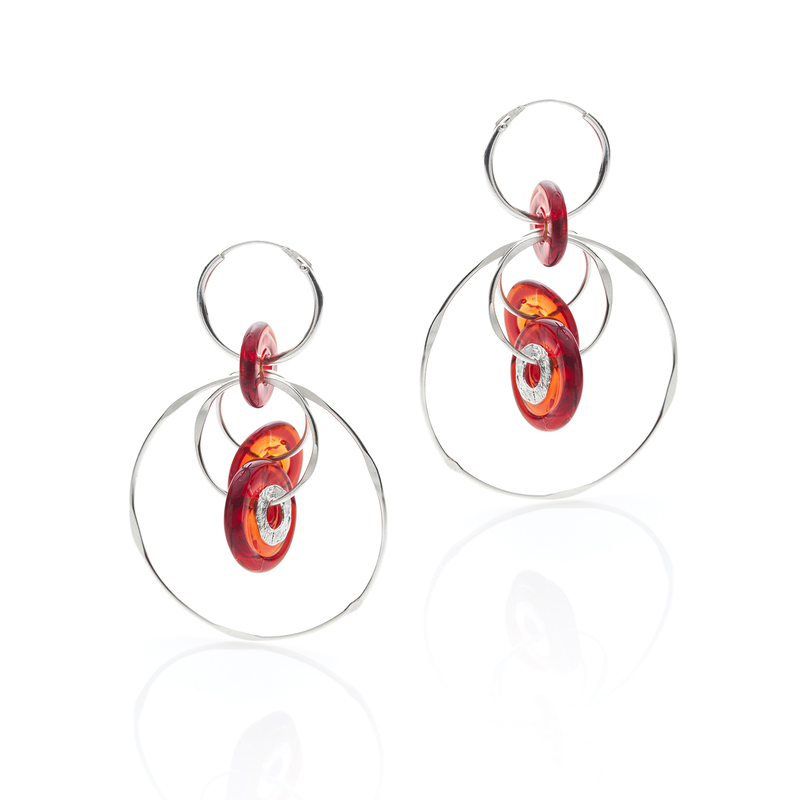 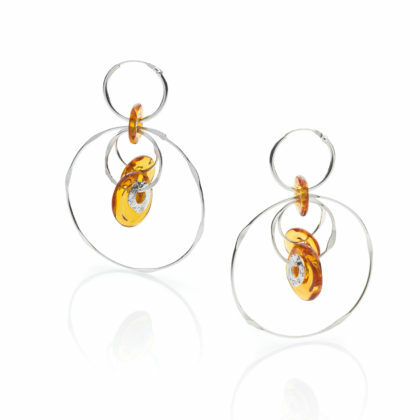 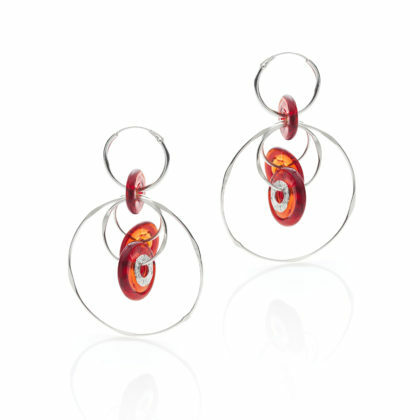 By changing the position of the hoop you can wear these earrings in different ways. 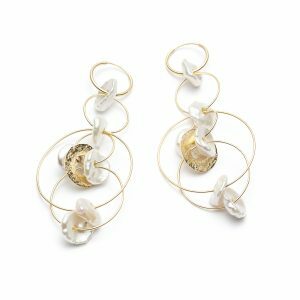 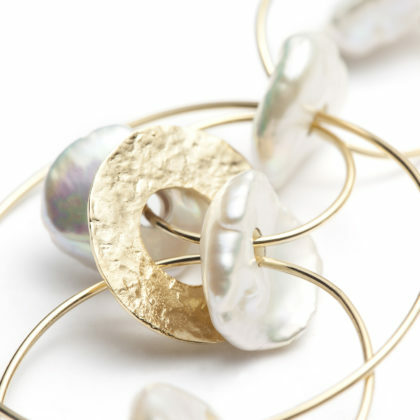 Earrings in 18K yellow gold with pearl petals and hammered links. 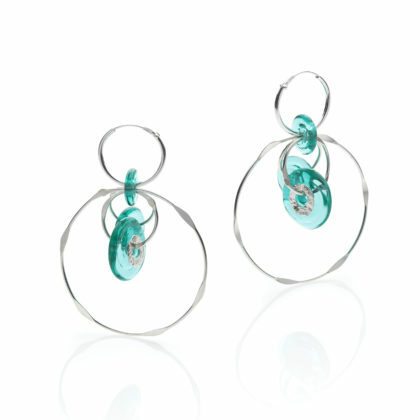 By changing the position of the hoop you can wear these earrings in different ways. Stud earrings in sterling silver with coloured glass disk clusters.